MKG, the Swedish NGO Office for Nuclear Waste Review has made an unofficial translation into English of the Swedish Environmental Court opinion on the power industry’s Nuclear Waste Company SKB’s license application for a final repository for spent nuclear fuel in Forsmark, Sweden. The court said no to the application because it considered that there were problems with the copper canister that had to be resolved now and not later. The translation shows the courts judicial argumentation and why it decided not to accept the regulator SSM’s opinion that the problems with the integrity of the copper canister were not serious and could likely be solved at a later stage in the decision-making process. The main difference between the court’s and the regulator’s decision-making was that the court decided to rely on a multitude of scientific sources and information and not only on the material provided by SKB. It had also been uncovered that the main corrosion expert at SSM did not want to say yes to the application at this time that may have influenced the court’s decision-making. In fact there appear to have been many dissenting voices in the regulator despite the regulator’s claim in the court that a united SSM stood behind its opinion. The court underlines in its opinion that the Environmental Code requires that the repository should be shown to be safe at this stage in the decision-making process, i.e. before the government has its say. The court says that some uncertainties will always remain but it sees the possible copper canister problems as so serious that it is not clear that the regulator’s limits for release of radioactivity can be met. This is a reason to say no to the project unless it can be shown that the copper canister will work as intended. The copper canister has to provide isolation from the radioactivity in the spent nuclear fuel to humans and the environment for very long time-scales. It is still unclear how the process will proceed. The community of Östhammar has cancelled the referendum on the repository, as there will be no question from the government in the near future. The government has set up a working group of civil servants to manage the government’s handling of the opinions delivered by the court and SSM. SSM has told the government that it is ok to say yes to the license application. There are eminent corrosion experts that are of the opinion that copper is a bad choice as a canister material. There is also increasing experimental evidence that this is the case. One problem for the court was likely that SKB has hesitant to do the required corrosion studies that show that copper does not corrode in an anoxic repository environment. The 18-year FEBEX field test shows that copper corrodes relatively rapidly with pitting corrosion. SKB says that all corrosion is due to in-leaking oxygen but it is now clear that experimental systems containing copper and clay become anoxic within weeks or months so this explanation is not valid. MKG has for long wanted SKB to retrieve the next experimental package in the LOT field test in the Äspö Hard Rock Laboratory. SKB had refused. The remaining packages have now been heated for 18 years. When a 5-year package was retrieved in 2006 it was discovered that there was “unexpectedly high corrosion”. There is clearly a need for more lab and field test results to decide whether copper is a good and safe choice for a canister material. The court’s decision-making shows the importance of a democratic and open governance in environmental decision-making. It is important that the continued decision-making regarding the Swedish repository for spent nuclear is transparent and multi-faceted. 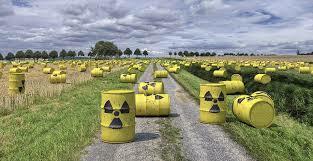 The Supreme Court of Sweden has taken a positive step in dealing with nuclear waste. It has taken into account, environmental issues very seriously and genuinely.